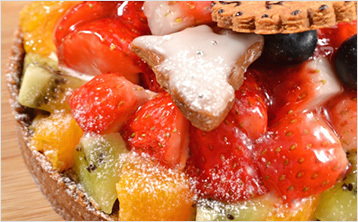 The tart shell is the base of many types of Western sweets. Uses and applications can be as diverse as your imagination. Our very experienced staff will work together with you on the development steps. Let us make your desired shape and firmness a reality. 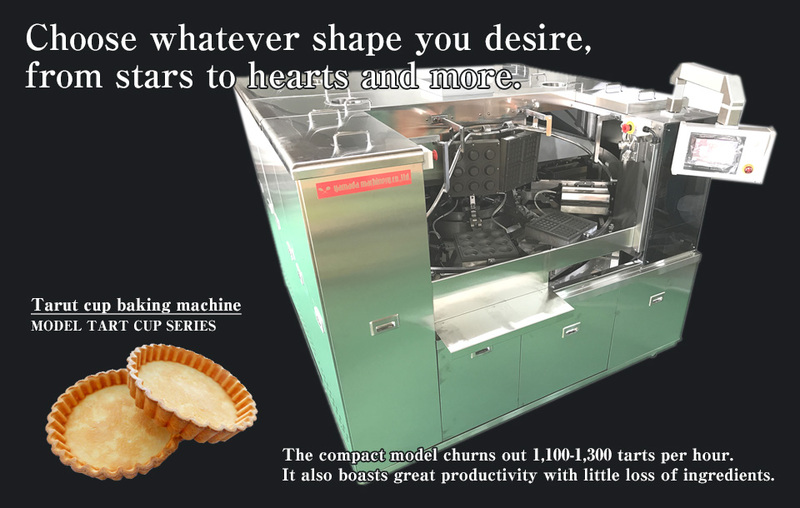 Since we build original machines, starting with the molds, we can accommodate whatever shape of tart you prefer. Even with the same dough, baking it as is or compressing it as you bake completely changes the flavor and texture. 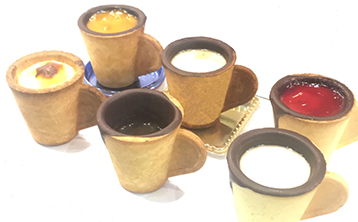 We are able to adjust the degree to which the product is baked. 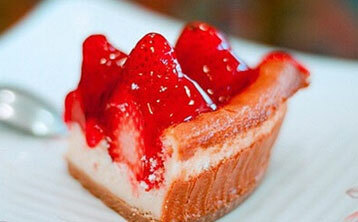 We can also create tart molds with original materials. Although compact, this single unit incorporates three processes! 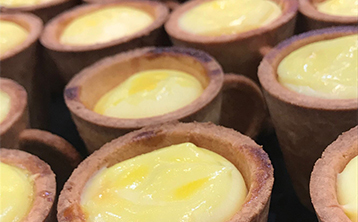 These machines are perfect for in-store baking visible to spectators. 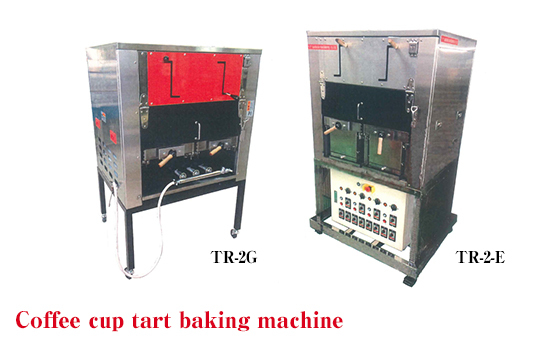 Three-part grilling machines can bake soft American waffles, hard Belgian waffles, or even hot sandwiches if the right mold is available. 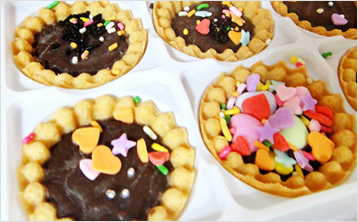 During business hours, bake American waffles and hot sandwiches, then after business hours, switch to baking souvenir gift products with a tart mold or Belgian waffle mold. The applications are very diverse. 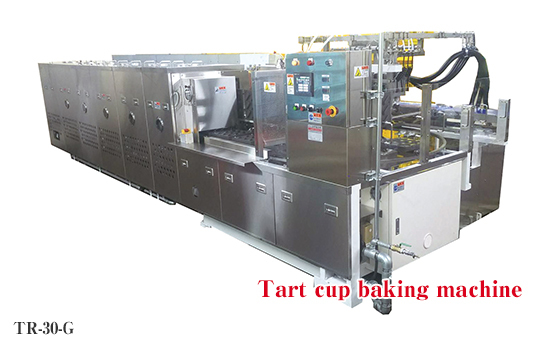 The gas formula of the coffee cup tart baking machine, which we have been developing since then, began selling. 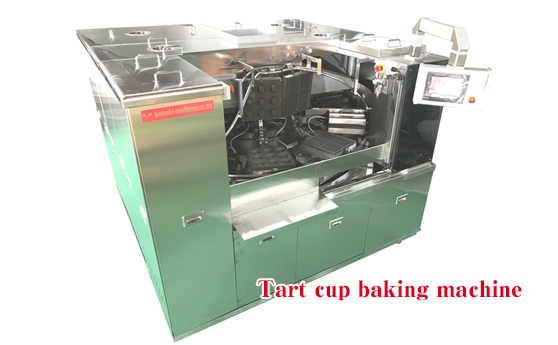 We propose a new shape tart cup, like coffee cups with handles.In order to satisfy the need of small lot manufacturing of tart,we have developed this new type tart baking machine which is more compact and productive with less product processing loss. 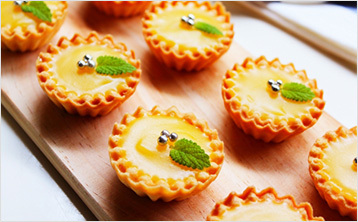 Furthermore,we receive any requirements and adjust dimension of tart baking machine depends on our customer’s request. ©2017-2018 YAMADA CONFECTIONARY MACHINE co,. Ltd. All rights reserved.